The adventure laid out in this here post is one that needs a little time for soaking in, and possibly a car that can handle rugged landscape, with twists and bends, inclines and descents. If you’re selling you’re car in Melbourne, this is either the perfect last hoorah to really use your car to the fullest, or it’s the best way to break in a new car that needs some starter miles. This trip could possibly be tackled in one whirl-wind of a day, but it wouldn’t leave much room for enjoying the absolutely majestic scenery, which is the purpose of this drive anyway. The big details: The whole loops is roughly 850km and is just over 10 hours total driving time. The small details: read on. Side note: During official ski season (June to October), it is required to carry tire chains between Harriet and Omeo, part 2 of this post… but it’s worth it! Starting off in Melbourne, in the earlier morning hours if you can manage, the first leg is technically just the stretch to reach the real entrance to the Great Alpine Road. So get cozy for about 250 kilometres as you head North on the M31 and finally merge onto Greta Rd/C523 into Wangaratta. Now, before we launch into any scenic activities, the first thing you probably want to look at is a hot plate of breakfast. 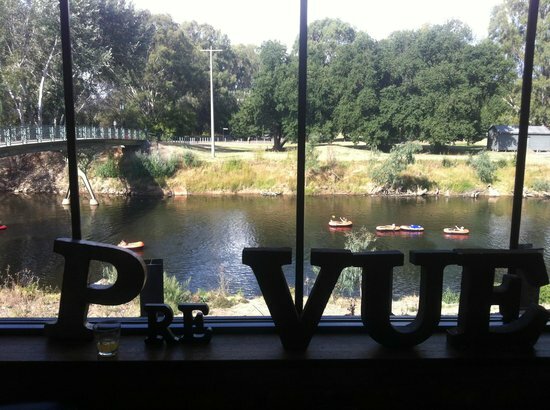 If you like dining with a view, head down Faithful Street to Cafe Prevue to enjoy a lookout over Oven’s River. They have quality coffee and delicious, healthy food that caters to all kinds of intolerances and desires. Other local favourites are Hollywood’s Pizza Cafe on centrally located Murphy Street for more traditional meat and bread based food, or Cafe Derailleur on Norton for a tucked away experience and exquisite, fresh meals. After you’ve fuelled up, it wouldn’t hurt to check out the surroundings before heading out on the bigger drive. 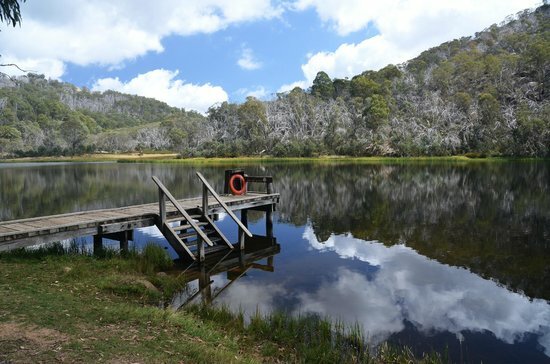 Just 10 kilometres West, up the C374 and onto Wangandary Road, you will find Warby Ovens National Park. 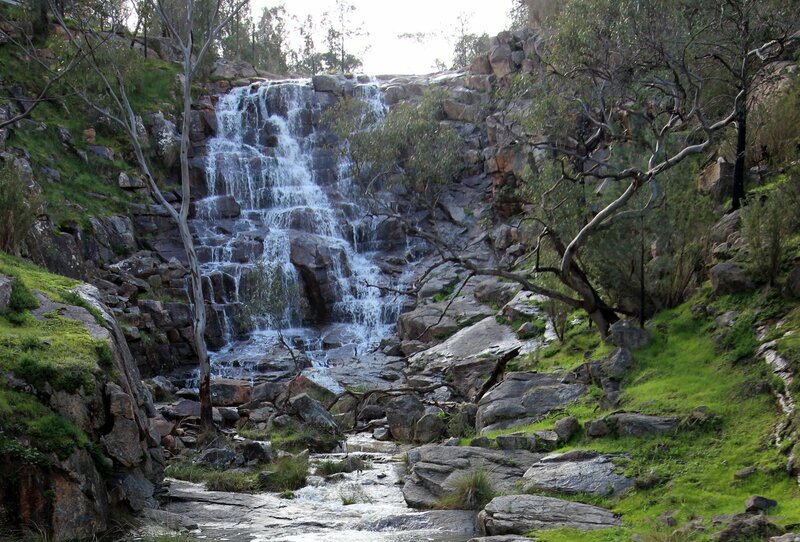 The park consists of almost 15,000 hectares and is known for it’s rushing waterfalls and peaceful day treks with wildflowers sprinkled throughout. You can even call the trip quits now and spend your next few days exploring this sprawling display of native flora and fauna, sleeping in the quiet campgrounds and bathing in the swimming holes. 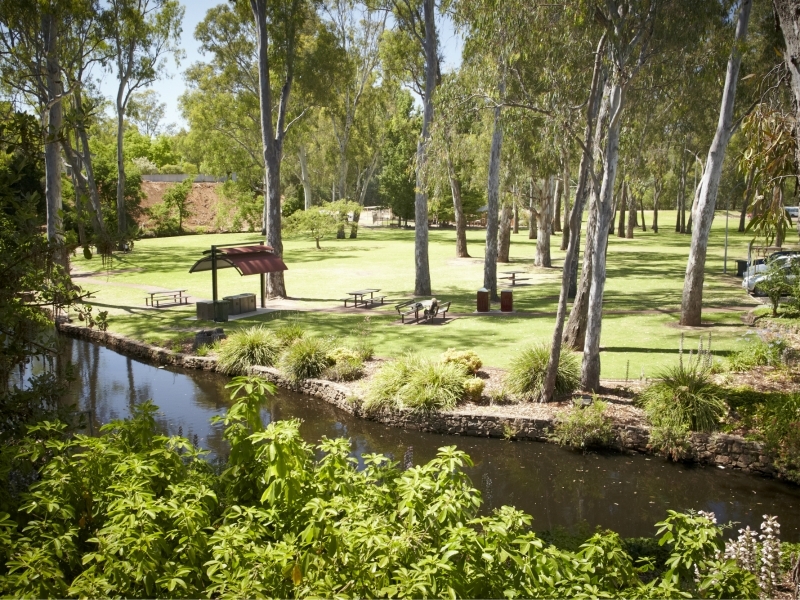 If you are one of those people with resistance to driving in the opposite direction of your final destination, then you can take a moment to relax in one of Warangatta’s town parks, either King George V Gardens off Oven’s street, or Merriwa Park on Ryley Street. Merriwa joins into Kaluna Park which is a riverine bushland restoration project that is slowly removing exotic species and allowing the native River Red Gums, Silvers Watters, and many more plants to regenerate, using minimal use of herbicide and hand-removal techniques for weeding. If you skipped the Warby-Oven’s National Park, you can still head part way up Wangandary Road and see the view at Ryan’s Lookout before you carry on. The first leg of the Great Alpine Road goes from Ryley Street (near Merriwa Park), towards the B500, where you’ll stay for almost 80 kilometres. This is a lovely, gentle route, which is still fairly flat and not yet surrounded by mountains. 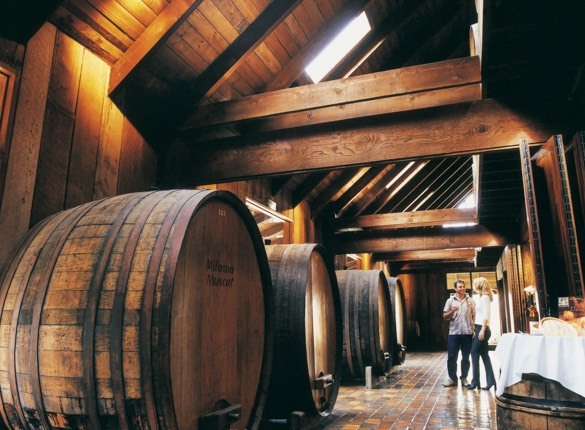 If you’re in the mood for delicious detours, you can stop at Brown Brother’s Milawa Vineyard for a tasting and a nibble. You can fancy it up in the restaurant, or if you’re feeling casual they will let you sit outside on bean bags with a bottle of wine, overlooking the beautiful grounds. If you want a head start on the mountain experience, continue East until Porepunkah and take a right onto the C535 to check out Mount Buffalo National Park. Here you can get your fill of winding roads, lakes, snakes, and lookouts. You can come here any time of the year and check out the waterfalls, or play in the snow. Keep some sensible hiking shoes in the boot of the car in case you get the itch for parking and having a wander. There are even some little cafes in the area for a hot cup of tea along the way. It isn’t too much farther to the lovely town of Bright, which sounds like the perfect way to start part two of the journey tomorrow morning. If you’ve taken the many magical detours so far, it’s probably about time for dinner and a good rest. Bright has every kind of accommodation you can think of, and there is never a problem finding a hotel, caravan park, hostel, or even campground to lay your body to rest for the night. If you’re a there-and-back kind of scenic driver, perhaps you’ve had your fill already. You can have a small town breakfast and head home in the morning with a few stops at any of the sights you missed on the way up. If you’re itching to get into Alpine Region, buckle up for part 2 of this journey.